Check out the new and improved Runner Pro - here! Fully factory assembled, charge the battery and fly! Genuine Spare Props available here. Genuine Spare battery available here. Hi, are you going to be taking preorders. I have the original runner and absolutely love it, done the mods and no fod just great flying. Hi Richard, I'm not taking pre-orders as final pricing has not yet been determined. However, I'm hoping to take stock within 1-2 weeks. Mode 2, throttle on the left stick. 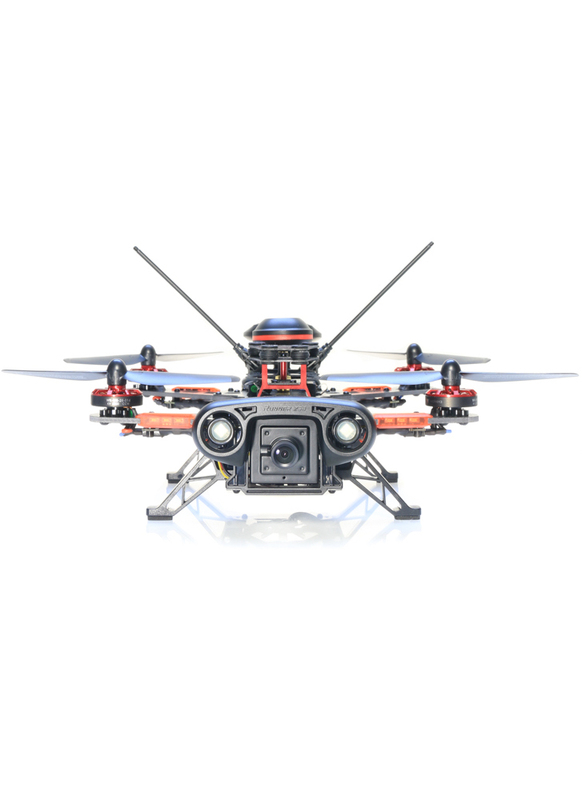 do all walkera runner advanced models come with fpv? I ask thick because on non-advanced models the fpv receiver is white with an orange strip however on the advanced model it looks to be black with a red strip. As far as I know yes, but Walkera do change the versions, so you might be able to get a non FPV runner advanced in the future. Yes, to view the real time flying video you would need to purchase either a FPV (first-person-view) monitor or FPV goggles, the video isn't displayed on the controller. The drone is designed to carry a small camera like a GoPro, so it could carry ~200-300g.